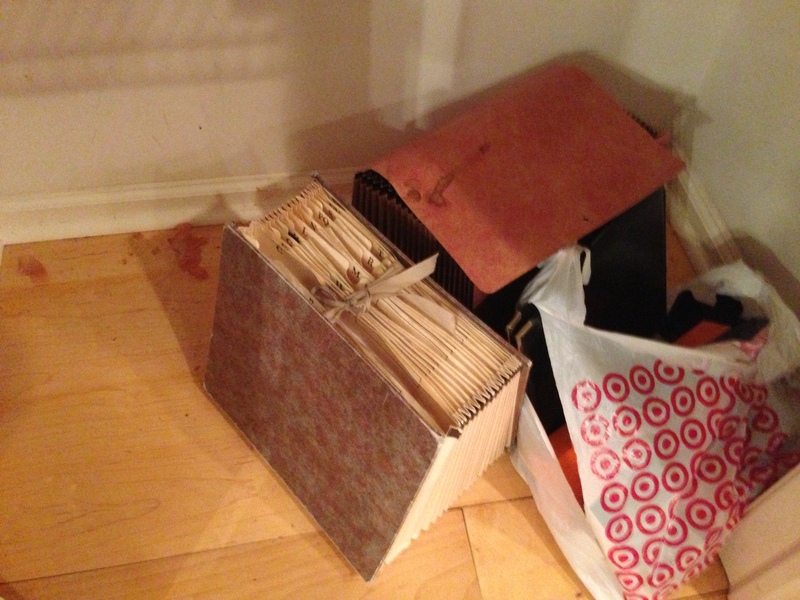 Clump #111: Clear out more of pantry floor. Sometimes (certainly not always), a dreaded task turns out to be not nearly as bad as expected. 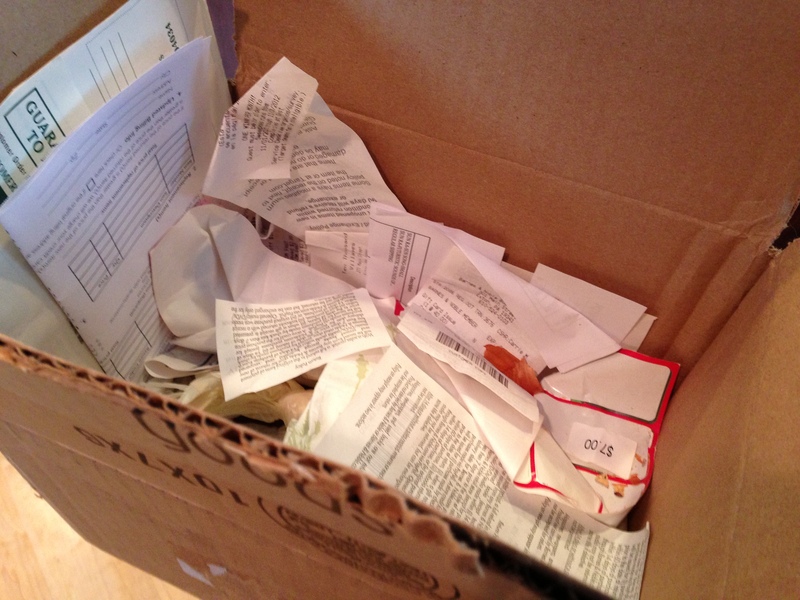 This box was a paper tiger, filled with, I’m embarrassed to admit, receipts from last year’s Christmas gifts. I know exactly how long they’ve been stuffed in there. And underneath were just plastic bags … piece of cake! Just a small paper shredding job. 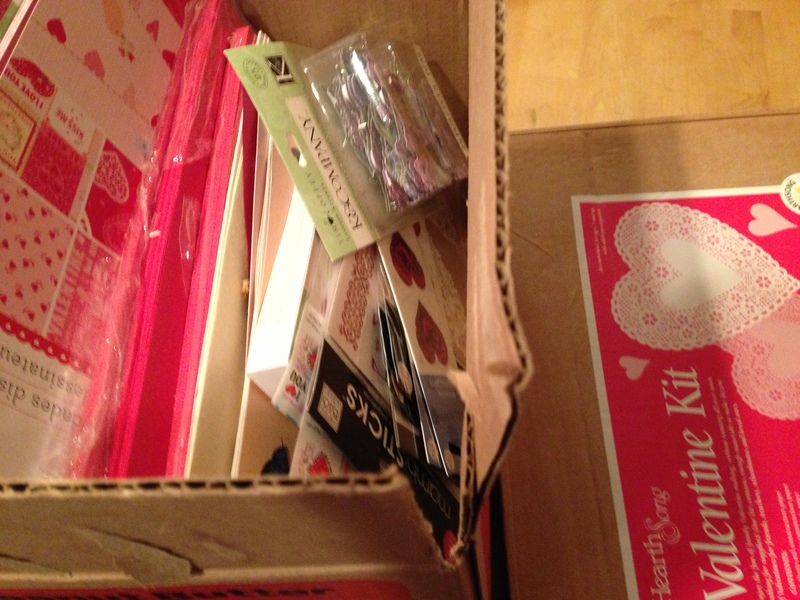 And then there were two boxes of valentine craft goodies which belong in the basement, to be ready for the holiday in February. My mom started our tradition of hand-made cards. For years I’ve held a Valentine’s Tea the Sunday before February 14th. Below is a photo taken at last year’s party. It was the first one I held as an empty-nester, without the help of my younger daughter, the baking-phenom. I was feeling very blue getting our traditional chocolate dipped strawberries ready. I hadn’t done a very good job of inviting guests; it’s usually just an impromptu handful of neighbors, and friends of our kids. Up until the doorbell rang, there was a real possibility that no one would come. I had to laugh, thinking it would be a great stanza to the Beatles song, Eleanor Rigby … hosted her Valentine’s Tea, but it wasn’t the same / Nobody came … “All the lonely people …” Ah, just finding the link for that song reminded me that yesterday was the anniversary of the murder of John Lennon, 33 years ago. Now I’m feeling old and sad! 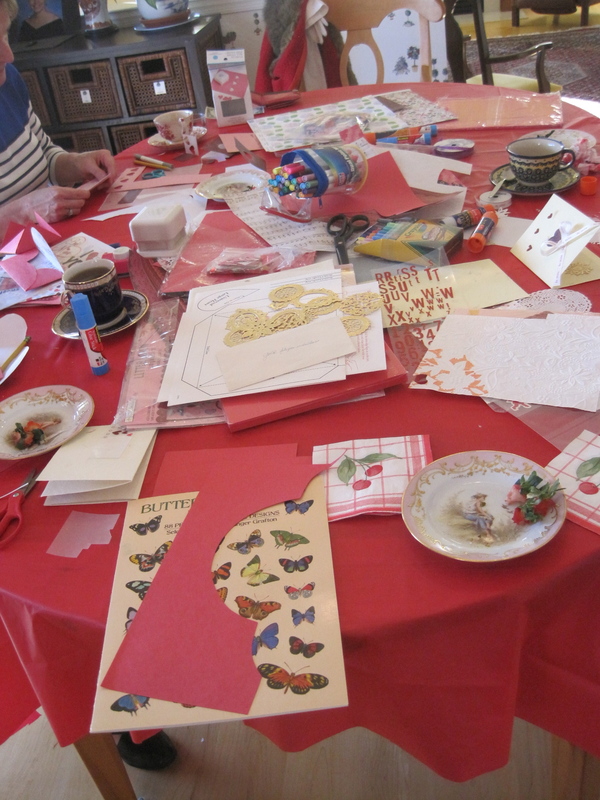 Happily, a few die-hard friends did arrive for tea, strawberries, sweets, and valentine-making. One guest wore a fancy red coat and white gloves! So, not too much more clearing to go … chipping away the dread, along with the ubiquitous onion skins. I just hate to end with an ugly photo … here’s one more from last year’s party. 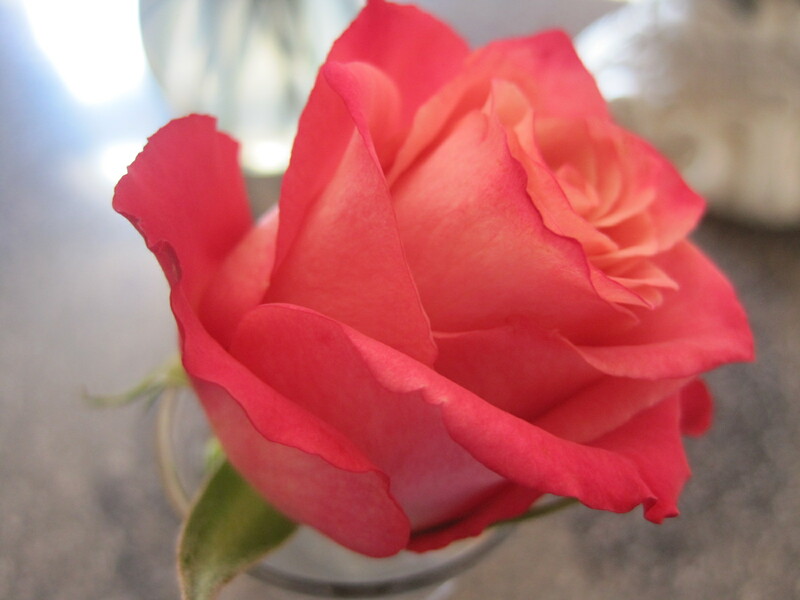 What Valentine’s remembrance would be complete with out roses?